Hello, I want an information: how can I upload my conqest maps on this site?? Thank you! Zip up your .map and .bmp file and email them to me at sean@windowsgames.co.uk. Thanks! 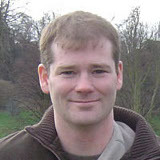 Sean O'Connor wrote: Zip up your .map and .bmp file and email them to me at sean@windowsgames.co.uk. Thanks!